The Center of Medicaid and Medicare Service (CMS) continues to increase emphasis on care collaboration, ranging from Chronic Care Management (CCM) to the recent announcement from the US Surgeon General’s landmark report on alcohol, drug and health. Derived from many aspects in healthcare, the authors’ examine the challenges of integrating physical and behavioral healthcare, addressing the Care Collaboration Model outlined by CMS and the Surgeon General. Research has demonstrated bidirectional links between mental disorders and chronic conditions. Depression and anxiety are heightening the risks towards hypertension and diabetes along with other mental disorders such as PTSD, drug addiction and alcoholism. Depression roughly doubles the risk for a new Coronary Heart Disease (CHD) event. Such interdependencies have limited solutions today due to the lack of a collaborative environment. We refer to this as a ‘revolving door care environment’, a vicious cycle compounding the effects of chronic and mental disorders. oday, healthcare lacks the support of a closed-loop system, one that emphasizes a bi-directional flow of information. Healthcare is muddled with reactive care, instead of preventive, anticipated care. It is that lack of prevention and anticipation that have an adverse impact on the overall healthcare cost and patient outcomes. EHR and EMR systems are the main ‘anchors’ of today’s health IT. Hospital system CEOs and CIOs need to look at this issue carefully. This IT issue offers health care facilities the perfect opportunity to not only promote the care collaborative model, but offer a solution to resolving the bidirectional information flow problem and enable them to move forward with a new platform to achieve better patient outcomes, the goal of all healthcare facilities. From the disorder, the process towards the state of homeostasis consists of genetics, nutrition, physical activity, mental health and an external environment. Genetics is the internal influencer in with medicine’s physical care plays a role in adjusting the disorder toward homeostasis. For healthcare, it is the care plan for a disorder. With the Health Collaborative Ecosystem’s objective is to create a patient state of homeostasis, rural and community hospitals and clinics can accomplish multiple goals – better services to the community, better defined patient outcomes and open new avenues for health services with behavioral health and filling the revenue gap. 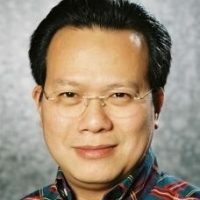 Thanh Tran is CEO of Zoeticx, Inc., a medical software company located in San Jose, CA. He is a 20 year veteran of Silicon Valley’s IT industry and has held executive positions at many leading software companies.